Under legislation approved by the House on Tuesday, SunTrust and other banks with up to $250 billion in assets could be exempted from the toughest rules of the Dodd-Frank law. The House voted Tuesday to ease rules for midsize and regional banks in what is considered the largest undoing to date of banking rules put in place in the wake of the financial crisis. The vote was 258-159. The Senate has already approved the bill that would allow banks with up to $250 billion in assets to escape some of the toughest rules put in place by the Dodd-Frank Act in 2010 to shore up the banking system. President Trump could sign the bill as early as this week. Republican lawmakers said the bill aims to help small banks and credit unions be able to make more loans to families. "The Main Street banks and credit unions that people depend on, they've been suffering," said Rep. Jeb Hensarling, a Texas Republican who chairs the House Financial Services Committee. "They've been suffering for years under the weight, the load, the volume, the complexity, the cost of heavy Washington bureaucratic red tape. They haven't been able to serve these people to get them into homes and get them into cars." But the bill could also allow large financial firms like American Express and SunTrust to avoid tougher rules of the road, like setting aside a thicker capital cushion to help survive another financial crisis. The bill allows federal regulators some leeway in deciding which of the bigger banks would be subject to eased rules. Institutions like JPMorgan Chase, Bank of America and Wells Fargo would continue to abide by tougher rules. Several Democrats warned that the bill goes too far by helping very large midrange banks, several of which also failed during the financial crisis. "Some of my colleagues may have forgotten about the bad, bad crash from 2008, but I sure haven't," said Rep. Keith Ellison a Democrat from Minnesota who is also on the Financial Services Committee. "Two point six trillion — with a 'T' — vanished from people's retirement accounts. Think about that for the moment. Why on earth would we go back there?" Under the original Dodd-Frank regulatory rules, banks with as little as $50 billion in assets had to follow these tougher financial rules. The bill also includes a host of other changes ranging from easing some home mortgage rules to weakening reporting requirements designed to protect against racial discrimination in lending. The bill is part of a larger deregulation wave underway in Washington. Republicans controlling the White House and Congress have openly vowed to cut rules and red tape wherever they can. In order to get the bill passed though, some Democrats in the Senate had to be willing to cross the aisle and vote for the new bill. And given that, the changes, aren't as dramatic as they could have been. That is according to the man whose name is on the Dodd-Frank law. Former Rep. Barney Frank says the new bill will leave the most important provisions of Dodd-Frank intact. "I would vote against it if I was there," the former Democratic House Financial Services chairman tells NPR, but, he adds, "I understand why other people are voting for it." After Dodd-Frank passed, Frank said he heard arguments from smaller banks that the law placed some undue burdens on them. And one of the major goals of this new bill is to fix that. Basically, the argument is these banks are not the giant, too-big-to-fail kind, so they don't need as many stress tests and related rules. Frank said he supports the provision in the bill to exempt banks with less than $10 billion in assets from a rule that bars banks from making some kinds of risky, speculative investments. He says the small banks weren't really doing much of that anyway, but they ended up having to spend too much time and money proving they were in compliance. Frank says he also would be OK with raising the bar for how big a bank has to be before it has to comply with a series of more strict systemic-risk-related regulations. Under Dodd-Frank, banks with $50 billion or more in assets are in that category and fall under the jurisdiction of the Financial Stability Oversight Council. Frank says he would support raising that cap to $100 billion, but Republicans pushed for the much higher $250 billion threshold. Frank said raising the threshold to $250 billion goes too far, because the failure of two or three banks in that category could pose systemic risk problems. The House passed a rollback of banking regulations yesterday. These are some of the Dodd-Frank rules meant to prevent a repeat of some of the worst abuses of the financial crisis. The White House says President Trump is expected to sign this bill into law as soon as possible. NPR's Chris Arnold reports. CHRIS ARNOLD, BYLINE: Many Democrats were not happy about this bill, which loosens regulations just a decade after reckless lending and investing by financial firms sent the country into the worst housing crash and recession in generations. KEITH ELLISON: Some of my colleagues may have forgotten about the bad, bad days of that crash in 2008. ARNOLD: Democrat Keith Ellison of Minnesota spoke out against the bill on the House floor. ELLISON: Millions of people lost their homes. Two point six trillion - with a T - vanished from people's retirement accounts. Why on earth would we go back there? ARNOLD: But Republicans say the Dodd-Frank rules went too far and hurt smaller banks, the ones that are not a risk to the financial system or too big to fail. Jeb Hensarling chairs the House Financial Services Committee. JEB HENSARLING: The Main Street banks and credit unions that people depend on - they've been suffering. They've been suffering for years under the cost of heavy Washington bureaucratic red tape. BARNEY FRANK: Not much too far - I would vote against it if I were there. ARNOLD: But Frank says he actually supports parts of the bill. For one thing, he says it gives small banks a free pass from rules that block certain kinds of risky investments. Frank says banks with less than $10 billion in assets don't really do that kind of trading anyway. But the law creates headaches for them. FRANK: It turns out their lawyers tell them they've got to be super careful. They're wasting a lot of money proving they don't do what we know they don't do. So I'm happy to get that one done. ARNOLD: Frank says, though he has two big problems with the bill, right now banks with at least $50 billion in assets have to deal with lots of tests and rules and reporting to make sure that they don't collapse and threaten the financial system. This new bill lets many banks escape all that. 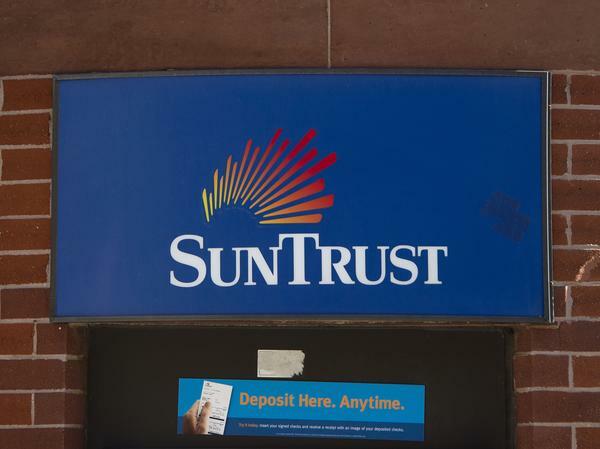 Financial firms like SunTrust and American Express could avoid the tougher rules because now those rules won't kick in unless a bank has $250 billion in assets. FRANK: Two-fifty is too much. One $250 billion failing will almost certainly not be a problem. But if two - certainly if three fail, that would be a problem. ARNOLD: The other part of this that he doesn't like is that the bill weakens reporting requirements aimed at detecting and preventing racial discrimination in lending. Consumer watchdog groups have other problems with the new bill. Marcus Stanley is with Americans for Financial Reform. MARCUS STANLEY: This bill really does so many deregulatory things. It prevents risk controls on commercial real estate lending. It also eliminates consumer protections for people selling mobile homes to poor families all over the country. ARNOLD: But Barney Frank says the most fundamental parts of his signature Dodd-Frank Act remain intact, its biggest protections for consumers and the whole financial system. And he says this bill fixes the problems that even some Democrats wanted to fix. So he says Republicans have used all the political gunpowder they had in this one bill. And that means they won't be able to come back later and pass more drastic changes. Chris Arnold, NPR News. Transcript provided by NPR, Copyright NPR.